Esperanza Aguirre, arguably one of the most important Spanish politicians in recent history, announced her resignation on Monday, due by and large to having been diagnosed with breast cancer. Aguirre, 60, served in the Spanish government for over thirty years, including a run as the head of the Spanish Senate. 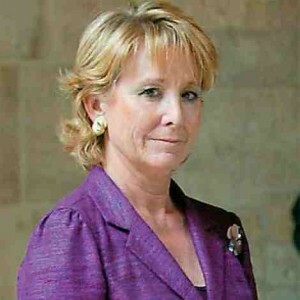 According to the New York Times, since 2003 Aguirre “ran the Madrid region, making her arguably the most powerful regional leader within the Popular Party of Prime Minister Mariano Rajoy as well as a possible candidate to succeed him as the first female politician at the helm of the country. She will be succeeded as Madrid’s regional leader by her deputy, Ignacio González.” Aguirre was also controversial, known as one of the most conservative politicians in Spain. Most recently she received heavy criticism for signing a deal with casino billionaire Adelson (who is also supported by Mitt Romney) to build a Las Vegas-style casino outside of Madrid. She will be missed by the Popular Party.